These are the times when counting calories can be very important. When adding calories to a pregnancy diet, whether because of a multiple pregnancy or to gain weight if mom is underweight, the doctor will often prescribe a set number of calories to work on adding. This high protein soy and fruit smoothie recipe has 100 calories and about 6 grams of protein per serving. Adding more soy milk will increase the protein significantly while keeping the shake healthy and tasty. Pour the soy milk into the blender. Adjust consistency with more soy milk. Variations and extras: 8th Continent Light Vanilla Soy Milk contains 60 calories per cup and 6 grams of protein. For every cup added to the smoothie, pregnant moms are getting additional health benefits. 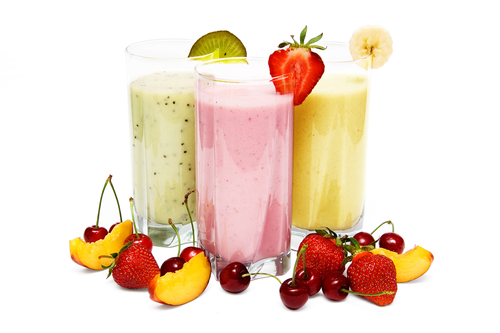 Many moms choose to add two cups of milk to the smoothie to create a smoother texture. This recipe can be blended and frozen in ice cube trays for a healthy punch of protein and vitamins throughout the day. Adding spinach to the smoothie does not greatly alter the taste, but it does add folic acid, a much needed vitamin for pregnant women.